About Army Navy Country Club: Gracing over 500 acres of rolling, wooded, landscape at sites in both Arlington and Fairfax, Virginia, the Army Navy Country Club challenges Members and guests with 54 championship golf holes, awards-winning tennis facility with 32 tennis courts (6 indoors), 6 swimming pools, a fitness center, and golf and tennis Pro Shops. The dining facilities at both Clubhouses offer various options, whether serving a romantic dinner for two, or catering an event for several hundred people. Founded in the summer of 1861, President Lincoln’s thoughts most assuredly did not dwell on the pastime of golf. Following the disastrous rout of the Federal Army in the First Battle of Bull Run (or First Manassas, depending on the allegiance of one’s forebears) had left the nation’s capital virtually defenseless. With the victorious Confederate Army encamped only a few miles away, Mr. Lincoln’s thoughts concentrated powerfully on erecting suitable defenses, and within a short time, a project was underway which, in the next four years, would make Washing­ton, D.C. “the most heavily fortified city in the nation” serving a romantic dinner for two, or catering an event for several hundred people. The Position: The new Chef is responsible for maintaining and improving quality of food products and sanitation while ensuring consistency in food delivery meet club’s high standards. Being mindful of the market, make changes that respond to the marketplace and to guests’ needs, both present and anticipated. Human Resource and recruiting abilities are important as the Club hopes to reduce kitchen turnover. The Chef needs to work effectively with both the front and back of the house staff; enjoys being out front promoting and communicating culinary insights with the membership. He/she is energized and not afraid to work; has a good understanding of administration including payroll, food cost and employee development. Job Requirements: Someone who understands the private club sector and is driven by pride, purpose, member satisfaction and teamwork. One must possess the ability to handle pressure, creativity to offer a diversity of items and an approach that facilitates communication and a sense of unity. A presence that sets the example for professionalism when working and communicating with the service and catering staff. This individual will have great cooking skills, an uplifting personality and willing to work with and mentor staff to help them improve in their profession. Excellent written and verbal skills for effective communication, the ability to facilitate small group presentations, and the skills to be an effective listener are all sought after skills. Highly visible to membership is important, especially at club events. The ability to demonstrate good judgment, problem solving, and decision-making skills all critical to the individuals and program’s overall success. · Annual food sales at $ 5,190,000; total F&B Sales $6,809,000. · The F&B operation is expected to break-even financially. · There are 65 total kitchen employees supported by a $1,611,106 labor budget. · There are two (2) Sous Chefs, a Pastry Chef and a Purchasing Manager. · There are 4 (four) kitchens; the Grille kitchen, Banquet, Stars and Stripes Kitchen and Dive Inn. · The Main Clubhouse is 95,965 sq. ft. and supported by nearly 7,000 members with an average age of 56. · The Club operates 12 months per year. Busy months are March through December. · The Executive Chef reports to the Director of Clubhouse Operations and works with the CFO, Director of Golf, Tennis Aquatics, and Facilities Maintenance. · The previous chef was with the Club for (5+) five-plus years. · The Executive Chef serves as role model and sets the standard for all employees to maintain high-quality and consistent member service. (This requires an advanced knowledge of industry best practices and member service. · Proposes new ideas to promote and generate Food & Beverage revenue and member usage. · Assists in the development of and monitors food and labor budgets for the culinary department. · Maintains standards of food purchase specifications and negotiates pricing and contracts to control food quality and costs. · Is a team builder who mentors culinary personnel and develops a pipeline of talented and creative individuals. · Operates within all mandatory guidelines, policies and standards of operations as they relate to Food & Beverage. · Participates in on-going facility inspections throughout Club to assure that the cleanliness, safety and sanitation are consistently maintained. · Responsible for the financial management of the operation, including” weekly labor schedules and all aspects of food cost. Develop and implement business tools to enhance profitability. · Responsible for the selection, training and development of the personnel within the department. Continuously evaluate the performance and encourage development of kitchen personnel. 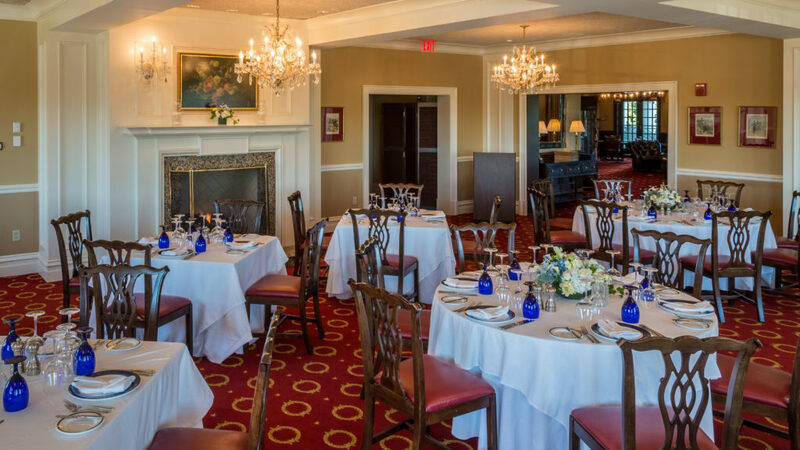 Dining Venues: Army Navy Country Club provides a full array of versatile banquet, dining, and meeting room facilities that are incorporated into the exquisite architecture of its two dynamic Clubhouse locations in Arlington and Fairfax. Sun Room – 60 Capacity. Formal dining with terrace seating, this room offers a finer taste with Prix Fixe menus and an extensive wine list. Grille – Capacity is 138 inside with an additional 40 seats outside (178 total). 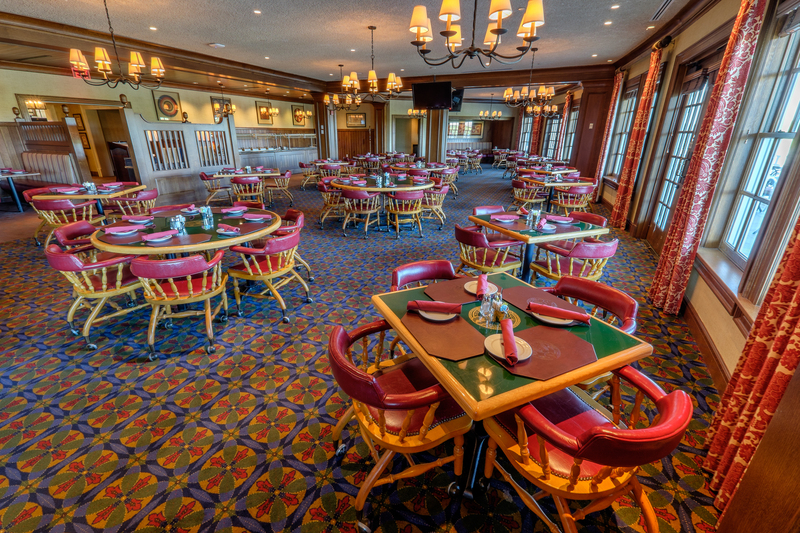 Casual dining with a comfortable atmosphere, the Grille is perfect for Members and guests of all ages. 1924 – 60 Capacity. For adults, 1924 is a casual bar with full menu service from the Grille. Ideal for watching large screen TVs or relaxing with your friends. Stars and Stripes Cafe – This patriotic cafe serves those playing golf or tennis as well as those playing cards or lounging in the Smoking Room. Dive Inn – Swim up and enjoy a quick bite at this poolside cafe. 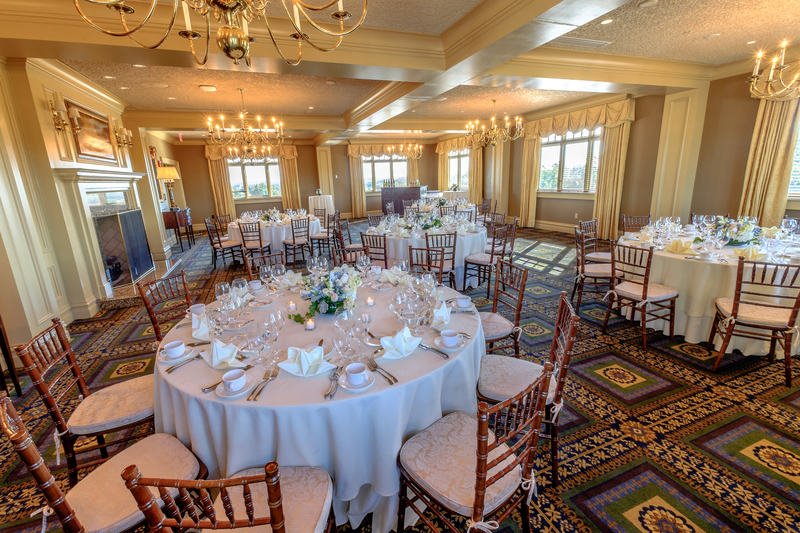 Banquets: The Arlington Clubhouse has private rooms to accommodate from 10 to 300 using the 5 Star Ballroom. Handling multiple private events concurrently is important. The club generates in excess of $3,000,000 annually from banquet food revenue.